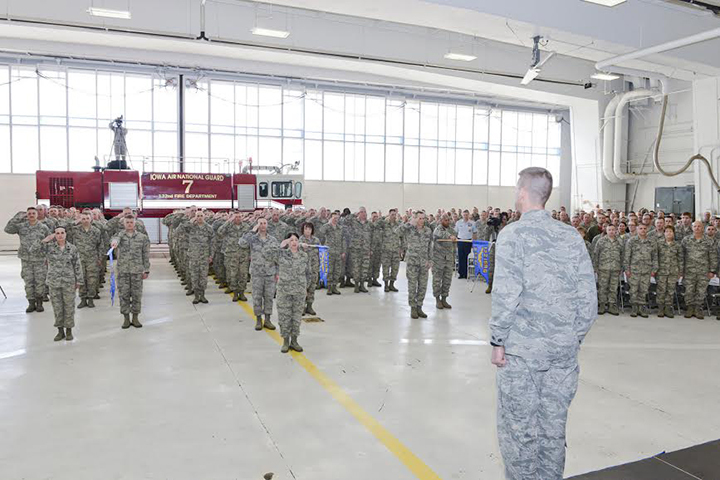 On Saturday, March 7, the Iowa Air National Guard’s 132nd Fighter Wing formally recognized the unit’s new designation as the 132nd Wing and the Wing’s new Intelligence Surveillance and Reconnaissance Group. The 132nd Wing, which has served as an aerial reconnaissance and combat fighter unit for more than 70 years, recently converted to three new operational missions: an MQ-9 Remotely Piloted Aircraft Mission Control Element; an Intelligence Surveillance and Reconnaissance Group; and a Cyber Operations Squadron. 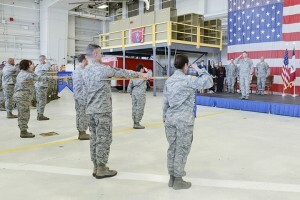 The unit’s name change to the 132nd Wing is a reflection upon its past, while focusing on its evolving, modern mission as part of the national defense strategy. 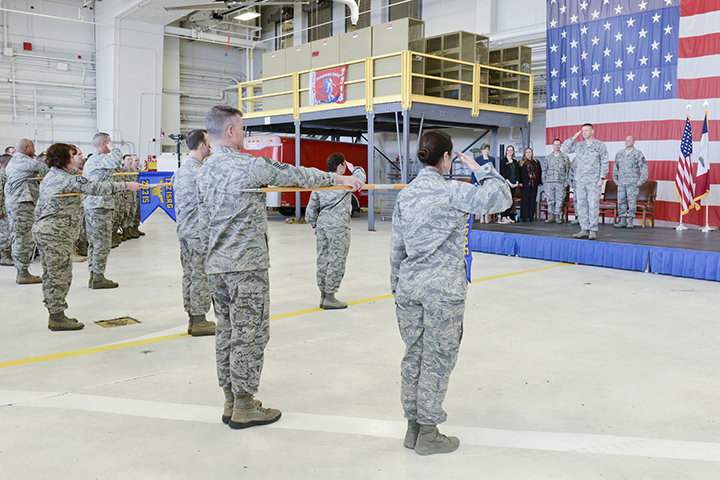 At the ceremony, Col. Mark Chidley formally assumed command of the 132nd ISRG, which includes the 232nd Intelligence Squadron, the 233rd Intelligence Squadron, and the 132nd Intelligence Support Squadron. The mission of the 232nd and the 233rd Intelligence Squadrons is to provide targeting and geospatial intelligence to the U.S. Air Force and Joint Warfighters. The 132nd Intelligence Support Squadron’s mission is to provide support functions to the 232nd and 233rd Intelligence Squadrons, as well as develop targeting training products for the Air Force targeting enterprise.